Thanks to historically low interest rates and new condo prices lower than other major North American cities, Montreal's real estate market and overall economy is remarkably robust. 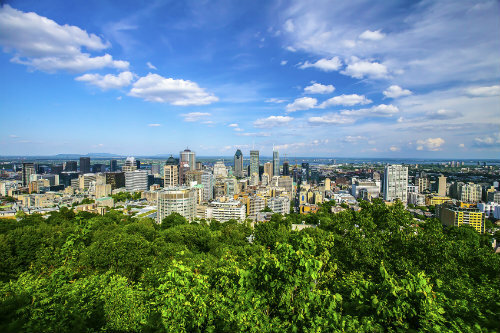 Over the last 15 years, Montreal's economy has taken a turn towards technology and creativity, leading to a rejuvenation of the population and a stop to the brain drain of university graduates towards other North American cities. This transformation created a vast market of first time new condo buyers in Montreal. With the retirement of the Baby Boomers and the growing student population in Montreal, the economic conditions for the purchase of a new condo in Montreal are ideal. The transformation of many neighbourhoods with industrial pasts and the large number of developments offering a variety of units and styles at reasonable prices give the buyers a wide array of choices in selecting a new condo in Montreal. For over 25 years, Musto Construction has contributed to the transformation of Montreal neighbourhoods including Ahuntsic, Cartierville and Ville St-Laurent.